I can't wait to see more of your beautiful birds. i love this idea, already love this year to come. 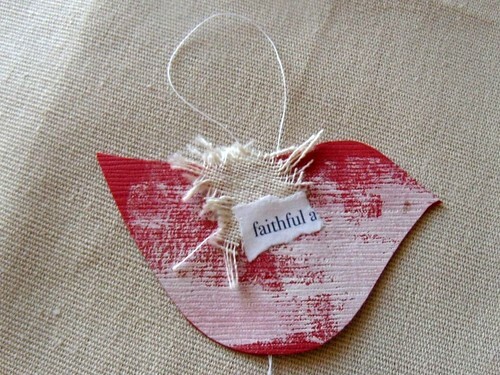 and love this faithful bird. enchanting is the perfect word. Oh this is beautiful...a single word can say so much! I always love your simple aesthetic. What a great start to the year! Loved the links and as always your birds are a delight. simple birds every friday...oh, I am really going to enjoy this! I love the texture in your images :) and your words are so lovely to read. And the simple shape of the bird is excellent - makes it all the more charming. love it. i think i need to come up with a "52" idea - maybe new ring once a week. that's a good goal right? 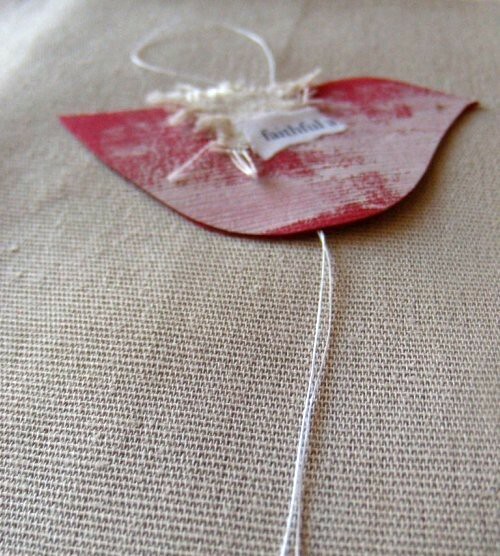 Love your little blog links that accompany this sweet little bird. I love your birds and how they are all different but reflect your style. I love the graceful simplicity of your birds and words. Your bird (and word) are lovely. I love how simple but beautiful they are. If it's okay, I would like to add you to my blog roll. This is so wonderfully simple..and so inspiring. Lovely work! Thanks so much for the sweet shout out, being associated with your amazing art feels incredible. you are the master at this, truly. so few words, even just one, speaking volumes. Something to look forward to. And the word...faithful. Just beautiful. It took me a while to comment on your beautiful post and tell how much I love your art. I was lost in your linky love. oh these birds are such a joy- your creativity knows no bounds and aren't we all grateful!